Your Favorites view displays your most commonly-used categories and items allowing you to quickly access them. 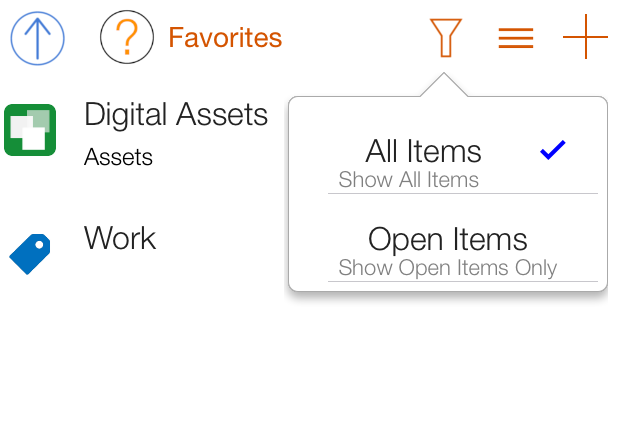 Using Favorites saves you time in navigating to frequently-used items or categories. For example, if you’ve created a Log Form for logging activities related to Triathlon training, you could add this form directly to the Favorites so you can quickly access it every time you complete a new training item, such as a run, biking session, or swimming session. You can access the Favorites from the left navigational pane of the main view by tapping Favorites. 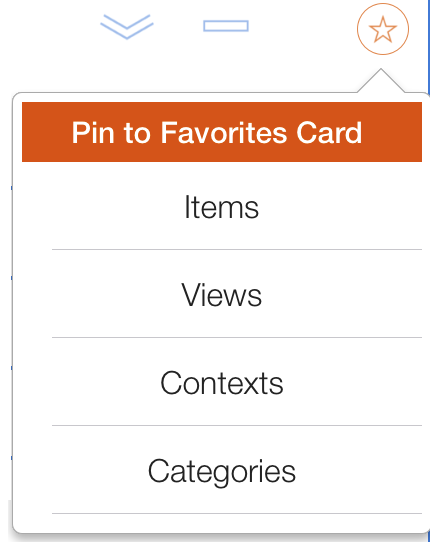 If you wish to add an individual item to your Favorites, tap the item you wish to add to a Favorites from any list view. When the cell expands, tap Favorites. If you wish to add categories to your Favorites (such as Health Projects), locate a category by tapping its tile. Tap the star at the top of the view. In the Favorites view, tap the plus sign. Locate the type of item you wish to add and drill down to locate it or type the text in the search bar. In the Favorites view, tap the Reorder icon (three lines). Locate the type of item you wish to move and drag it to the new location by tapping and holding on the Reorder icon. If you wish to remove an individual item from your Favorites, tap the item you wish to remove from a Favorites from any list view. When the cell expands, tap Remove from Favorites. If you wish to remove categories from your Favorites (such as Health Projects), locate a category by tapping its tile. Tap the cell to expand it, and then tap Remove from Favorites. Tap on filter icon from the top right corner to select “All Items” to show all items or “Open Items” to show open items only.